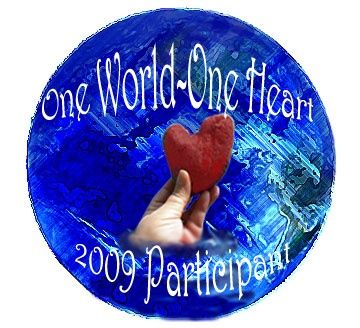 Better late than never, with only about 11 days left I am throwing my "purse" into the ring and participating in the giveaway at One World – One Heart. "The whole idea behind doing this and trying to get as many as possible to join in, was and is to meet new and wonderful people. Bloggers come from all walks of life, all socioeconomic backgrounds, all areas of the world, female, male……some are artists exclusively, some dabble, some are professionals in various areas, some are stay at home parents, some are teachers, some are very young and some are up in years. The common denominator in blogging is that we all have stories to tell….be it through visual means or life stories or the day-to-day or art work or handwork of varying kinds or poetry and journaling. We can be inspired or inspire others by finding a blog and taking the time to read/see someones story. Often times a spark happens….this palpable spark of recognition through kindred understanding and shared passions in life. It is in those times when we take a moment to comment and comment again…….when those comments are reciprocated a discovery is made that we share commonalties which connect us sight unseen. Sometimes we may live on separate continents or at either end of the same country or even discover you hail from the same general area. By paying attention, by connecting with others, we are creating a circle of amazing individuals who can literally enhance our lives and we can enhance theirs." My giveaway is open to anyone but you must leave a comment on this post and you must leave an email or link so that I can get back in touch with you. 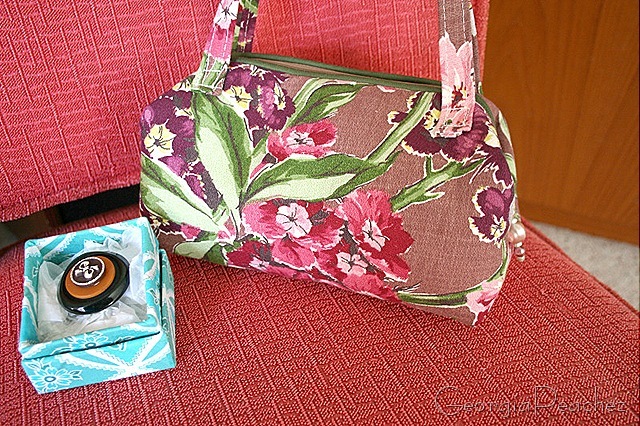 For my giveaway I have a small zippered purse that I have created from vintage barkcloth, fully lined with an interior pocket and also with a beaded zipper pull. Included also is a brooch made from vintage buttons. Comments will be accepted until February 11 and the winner to be announced on the 12th. Pop over to the OWOH blog and on the sidebar you will find links to the over 700!! participants and you can leave a comment for their giveaways. Please enter me in your giveaway and pop over to mine if you have not already. What a neat gift! Please count me in. Thank you! Veuillez mettre mon nom dans votre tirage, s.v.p. THIS IS AWESOME, AND I LOVE YOUR BLOG BANNER, TOO! LOVE the barkcloth purse! And the pin too- you are so generous. Thank you! I would love te chance to be entered in your contest. hank you for havingthis giveaway. Hello – glad to stop by. So very pretty – hope I am lucky! Really gorgeous. 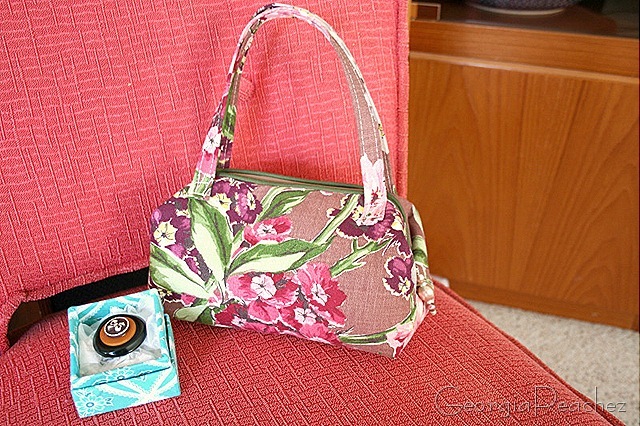 Perfect spring bag. Wonderful give away. Please enter me in your drawing and visit my blog if you haven’t already at 795.